Ever since I started this blog, I have been trying to get a good bead on wind power in South Australia and what it is actually doing for us. I should restate my position on renewable energy that I published in my very first post, just as context for this one. My position is unchanged. So I was never setting out to be an expert on wind. However it’s a natural consequence of what I have been writing about that people want to know my position on wind power in more detail. Just this week, the great read that is Lenz Blog drew on the positive example of wind power in South Australia, with direct reference to my apparent silence on what it sees as a good news story for decarbonisation. Fair enough. The subject of wind power in South Australia seems to arouse quite a bit of passion, including on some recent DSA comments threads. It lends itself easily to supposition in the absence of clear and detailed information. I have been guilty of the above, not by design but rather by doing my best with an incomplete picture. The National Greenhouse Accounts for 2010 compare emissions from different sectors, state by state, with 1990 levels. For South Australia, this showed a 40% increase in emissions from electricity generation, despite having installed over half the wind power in the nation, starting in 2003. My conclusion? This is not a good story- wind as a central pillar of the energy strategy does not seem to be bringing our emissions down much, and in fact seems to be having its arse kicked by growth. If you could help me I have tried to find the figure for SA emissions from electricity generation only in 2003 to see the impact. I can get a figure for stationary energy overall from the National Greenhouse Accounts site but that’s no good. Hopefully the 2003 figure will be higher than 9.1 million tCO2-e so that we can see some positive impact from the 1,000 MW of wind installed since then. Do you have it/ can you find it? Andrew came back with some useful references that provided more clarity but not exactly what I wanted. Well, in researching my posts about the debate between Monbiot and Greenpeace, I finally tracked down the document that I knew must have existed somewhere. It’s the 2011 South Australian Supply and Demand Outlook from the Australian Energy Market Operator. This document provides both the raw numbers and some important discussion of the role of wind in South Australia’s energy system. In this post I will be reviewing this document and a few other references with a particular focus on the wind element, and commenting on the relevance for Decarbonise SA. For the most part, the data should be fairly indisputable, but I will naturally make my own consideration of the implications. I’m well aware that many of my readers are more technically versed than I am. I look forward to reading about what I got wrong, or what else I need to consider. I was already drafting this post when, on 31st August, the South Australian Government announced the construction of an enormous new wind farm for the Yorke Peninsula in South Australia, and an undersea high voltage direct current cable to get the power back to Adelaide. The new farm is slated as 600 MW. Given we have about 1,150 MW installed so far, this is a massive additional commitment of wind. Being something of a zero-carbon technology agnostic, I’m not specifically perturbed by this. In fact, the result should be further decarbonisation which is right up my alley. However, the slated price tag of $1.3 bn in the relatively small economy of South Australia is serious, serious bucks to have earmarked, apparently without much consideration of alternatives, to one energy source. It’s the sort of sum where an open and transparent examination of what could be achieved using small nuclear reactors (or other zero-carbon technology while we are at it) would have been perfectly relevant. SA is clearly well in love with wind. Might we be taking it a bit far without being critical enough? The Hard: Not the bad, you will note, but the hard. What is hard about including wind in our energy system, especially as our penetration moves beyond 20%? Hopefully this post gives DSA a clearer and more robust foundation for commenting on the role of wind in our goal of 100% decarbonised electricity. We get this from 14 wind farms around the state, some of the details of which can be found in the licences . You can locate them on the interactive energy map . That’s a good thing. If only the global, or even national profile was looking as good as that. 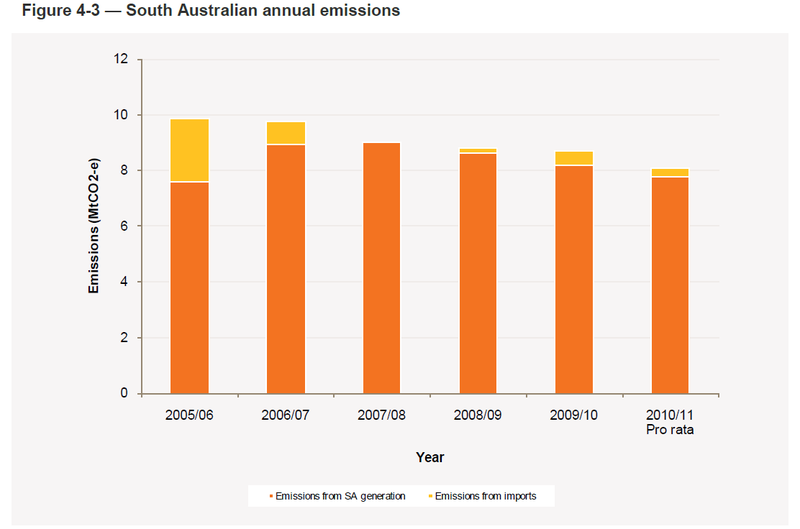 South Australia’s greenhouse gas emissions from electricity generation have fallen. From a high of just under 10 million tCO2-e in 2005/06, emissions have retreated to a whisker above 8 million tCO2-e in 2010/11. So just about a 20% drop in emissions to match the generation from the wind. This is good. Very good in fact and entirely consistent with Decarbonise SA’s mission. Again, if only the nation and world were performing similarly. The wind generation system does not “balance”. Despite the reasonable geographic distribution of the wind farms, it is demonstrably not the case that “if it is not blowing somewhere, it will be blowing somewhere else”. The weather systems that govern this are too large. It is either blowing everywhere or nowhere. Wind generation is a very poor match for peak demand periods. At the summer peak, which was a new record for SA on 31st July 2011, the 1,150 MW of wind provided just 60 MW of power i.e. the wind was not blowing. Over the course of the heatwave, the wind supplied a more impressive maximum of 873 MW. However the supply profile for the wind in this period is consistently inverse to the demand profile. AEMO comments that “the output of the wind farms increases due to local winds created by heating and cooling of the land mass at sunrise and sunset”. So it’s still providing clean electricity, which is all good. But clearly, from the point of view of efficient and effective management of a network, this high level of penetration poses some real problems. Not the least of which is that it needs back-up; we can’t close other things down. The owners of those other generators still need to make a return whether they run or not, so this adds to the overall cost of our system. Sure enough, we are continuing to bring on line new peaking gas plants in South Australia, and closing nothing. It’s getting harder to add more. South Australia galloped to 20+% of electricity consumption from wind in less than 10 years, a serious achievement. But now it’s starting to get harder, and not because the resource is running out. AEMO comments that “the significant growth of wind generation over recent years, and the variability of wind over a short period of time, means that transmission network and power system management is becoming more challenging… while variability is relatively small as a pecentage of total installed capacity, as installed capacity increases, the magnitude of that variability becomes more difficult to manage”. That makes sense. Our consumption is a reasonable approximation of a sine wave, and it’s easiest to provide for it from sources that can be readily dispatched. The figure above shows the rather more messy generation profile of wind. It is generated on the whim of nature, with reasonable and improving techniques to forecast it, but often that whim seems to coincide with when we don’t want the power. So note that AEMO is not saying it’s impossible, they are not saying “stop”. But they are flagging more challenging times ahead if we want to keep going beyond 20%. In 2010, AEMO and Electranet undertook a Joint Feasibility Study to examine a range of issues relating to network augmentation options between Victoria and South Australia. The study examined the existing interconnectors and the potential to develop a larger link to the eastern states. The results of this initial analysis were sufficiently positive that further work on assessing the feasibility of an augmentation of the Heywood interconnector is now likely to commence in 2011. For some observers, that all belongs under “THE GOOD”, but I rather think of it as hard. I acknowledge the benefits of enhanced interconnection. But the object is decarbonisation, not spending money on networks. This need for augmentation to keep accommodating wind will add costs to the process, whether they get directly tagged to the wind developments or not. The other augmentation issue that AEMO does not really raise is that of connecting the new wind farms themselves to the South Australian network in the first place. Logically, the first sites to have been exploited in SA will be those that offered both a good wind resource and reasonably low cost connection to the network. It seems the latter is far scarcer than the former. For example, the new proposed $1.3 bn wind farm will require an undersea high voltage direct current cable from the Yorke Peninsula to get the power back to where it is needed in Adelaide. The media releases only mention the cost of the farm itself. I suspect the cable will not be cheap, but I have no reported costs for it. Being a political matter, I expect we will be drip fed this over time, but an American example is $600m for 65 miles. That gives me about $5.8m per km of cable. It could add up. 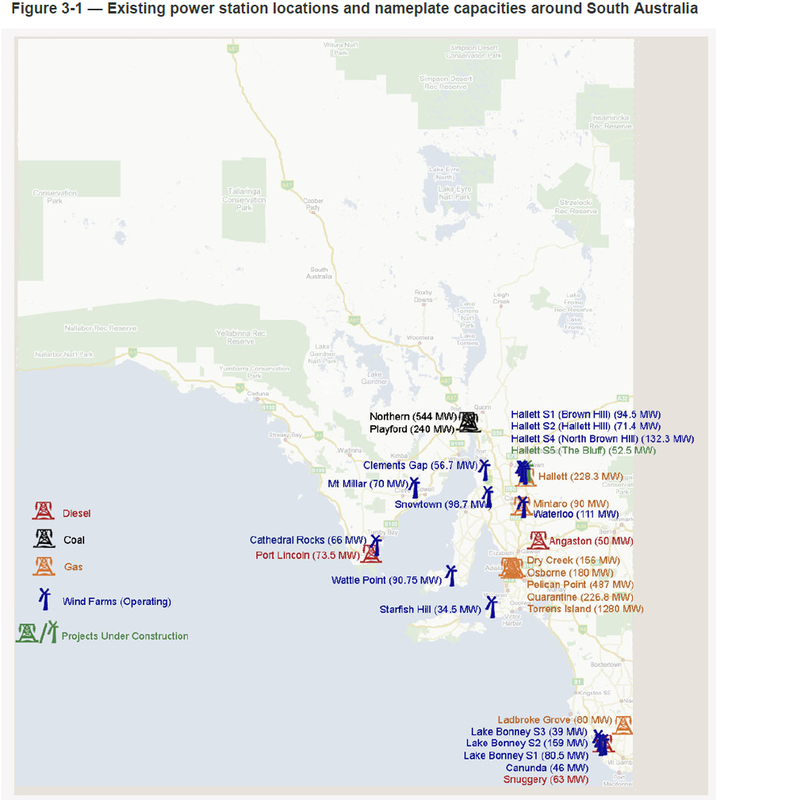 You can see the even more extensive plans for hooking up south Australia’s Eyre Peninsula here, a pet project for the state known as Green Grid, with the goal of unlocking even more wind generation. It’s all possible no doubt, but it’s all costly too; an unavoidable expense when the energy is far from where you want it. I think it is telling that having reached 20% from wind at breakneck speed, the revised target from the State Government for renewable energy is not 40%, but rather 33%. Every extra % gets harder from here. The fossil plants are still chugging away. Between 2005/06 and 2010/11, the reduction in our GHG emissions was mainly the result of reduced imports from Victoria. Our domestically generated emissions actually nudged slightly higher over this time frame. So far as I know, no-one actually seriously contends that wind is the answer to that problem; it is not baseload, it is intermittent. So whether we meet the 33% target or not, wind power is going to need to give way to something else to finish the job of decarbonisation. 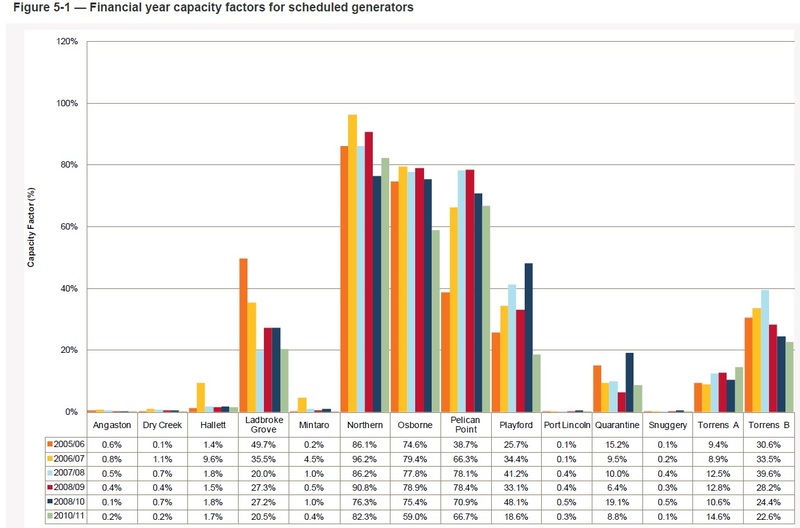 The figure below shows the capacity factors of our scheduled generators, and you can see that most of our dirtiest are chugging along at very high levels. 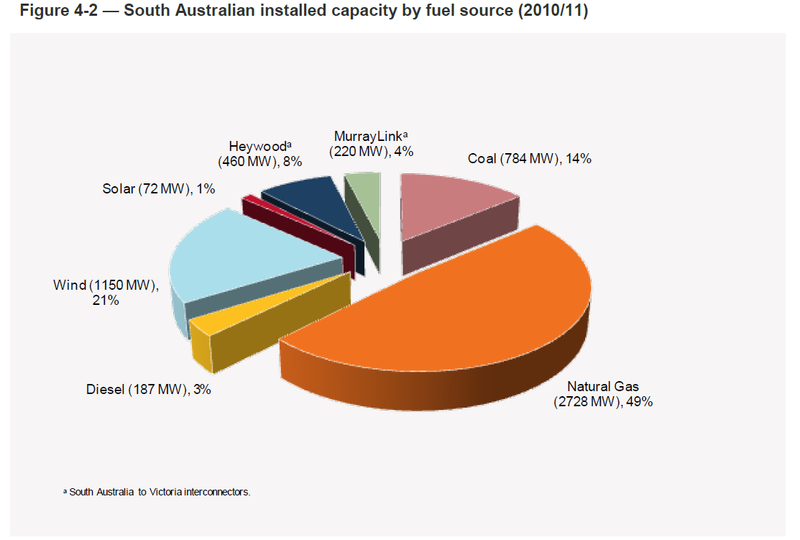 If you hate nuclear, the zero carbon options for South Australia seem to be solar, wave, geothermal or biomass. In the case of at least the first three, there is plenty of available resource within the boundaries of the state. 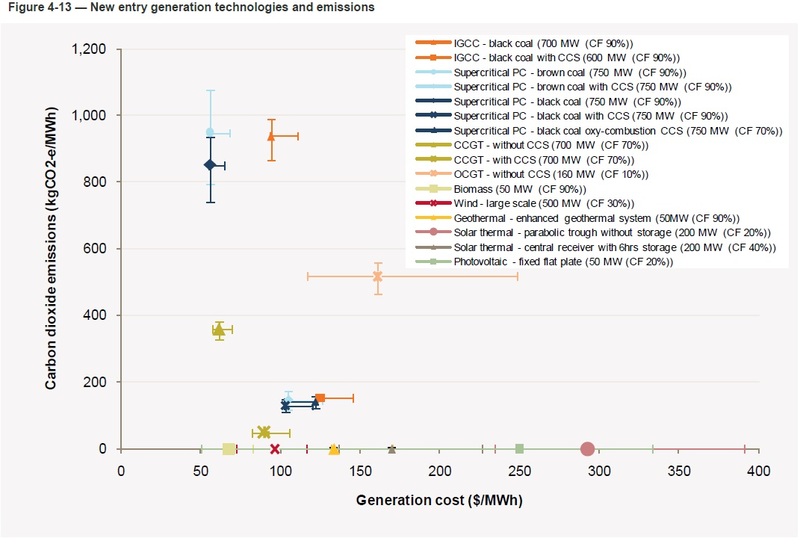 AEMO provides a chart of costs against GHG emissions for most of these technologies, alongside costs of the existing fossil generation technologies. According to them, the only renewable options that would deliver baseload-suitable capacity factor is enhanced geothermal and biomass. The former is finding the going very, very tough as I discussed in a recent post. The latter looks to be much lower cost, and I understand there are some plans for it, but not at the scale of replacing our coal and gas. According to AEMO the solar options don’t look to be contenders on either price or capacity factor. They give quite detailed discussion on the status of these energy sources in the appendices. I recommend reading this. In a goal of rapid decarbonisation, they gave me little comfort. The observant among you will have noted that yet again, an Australian organisation of potential influence has prevented us from learning anything about nuclear power by excluding it from the above chart of generation technologies. Using our imaginations, it sits right down on the bottom line because it is zero-carbon. The peer reviewed paper published in Energy by Nicholson, Berger and Brook provides a median LCOE price of US$54 per MWh (established, not first of a kind), taken across eight studies. So it’s to the left of the biomass. Hang on a second… that makes it the cheapest zero-carbon option. Wow, who knew? As a result, in super-quick time we have moved to over 20% zero carbon electricity in the state. This is good. Other regions can look to this example and see that a significant portion of the needs of a developed region may be able to be met with wind, and it can give a rapid start to decarbonisation. Even just the rest of Australia taking note would be good (though the resource is less favourable up the eastern seaboard where most of Australia lives). To keep going from here will mean overcoming network infrastructure and management challenges that have not mattered too much so far: providing the means to sell the excess power interstate and the means to connect the resource from more remote parts of South Australia. These are costs we have so far been able to avoid, but we can’t avoid them for much longer. From my point of view, if we press on, we press on. Wind power is quite the darling in this state, and my being stroppy about it is not going to change that. But we will start needing to commit larger and larger sums to support its continued uptake. I believe we need more and more consideration and transparency of whether that is the best place in our energy system to spend the money chasing the outcome we ostensibly want (cutting greenhouse gas emissions). Ultimately though it should be self-limiting. The intermittency, combined with the fact that the wind seems to blow either everywhere or nowhere at once, means that wind just cannot get the whole job done. We will need to turn to other options. Let’s be smart and look at all of them. Decarbonise SA will continue building awareness of the one we seem determined to studiously ignore. Great post Ben. It’s an excellent expression of problem. As advocates of no CO2 emissions it’s hard not to recognise the fallings of any wind contribution and I think you capture the dichotomy very well. i) the SASDO report hints at the wind integration limiting factor as the Haywood Interconnector which needs upgrading. ii) with regards efficiency, as I’ve said before, we’re not REALLY trying in Australia if you can build a house without solar hot water. Thanks, I really appreciated that. Think I covered point i) did I not? As for point ii), what can I say? I can only agree. A lot of my day job with ThinkClimate Consulting is making the case for energy efficiency, so I give myself permission to take time off from it with DSA. My personal bug-bear though is 80 W mercury vapour streetlights. Crappy light, wasteful, with excellent ready substitutes (CFL, LED) that have fast payback (on an energy basis), yet they are still in use because they are given inflated tariffs that kill the financial case and prevent uptake. Something I am working on with my clients. Yes, sorry, very very poorly worded on my part. My SASDO reading was for more wind (up to 35% penetration) to be viable, it would be essential to be able to export more of it when necessary rather than problems of grid control/stability, or even the dreaded “Inhaber Syndrome”. I take your point on spending on infrastructure however, but the benefit is wider than SA-only if that interconnector is fatter as SA will still be compensated for the power. No wonder wind marketers like Robert F. Kennedy Jr. are welcome lunchtime speakers at oil and gas conferences like the Colorado Oil and Gas Association’s annual “Energy Epicenter”. Not only are large wind and solar plants really gas plants, but having large amounts of wind on the grid apparently helps to increase the sales price of that gas. Oh good lord… thanks for the great link, check it out everyone. That’s incredible Rod, and something I had overlooked in the SASDO report. The devil is in the detail isn’t it? But it’s not that well hidden if you know what you are looking for. Wow. I’m honestly quite taken aback. Oh. My. God. What an admission! Actually, come to think of it, Zvy admitted as much in the “Monbiot v’s Greenpeace” thread. Why is it that so many renewable proponents hate nuclear so much that they would rather burn gas and send the planet to hell than use nuclear power? Heh heh… he’s Zvy to me.. my little brain simply cannot wrap itself around the structure of that word! No future in Russian, clearly. What I think I tried to say was that unless proponents of NPPs are proposing a massive overbuild to meet the peaks, you will be using gas too. A renewable top-up (sometimes, potentially, backup) with gas would be pretty close to the same yearly amount as NPP + peaking. The difference being, that we can refine with experience or match more sources (geothermal) to get rid of the last bit of gas. Oh, and of course the last part of the puzzle is that we could start the journey tomorrow. The Playford generator is not being used as baseload(30% capacity), I think its being operated only during high demand periods(summer). Some of the gas fired plants such as Torrens are also used just for peaking(20% capacity). It would be expensive to replace these with nuclear. They are labelled baseload in my resources but the capacity factors certainly suggest otherwise don’t they? Be that as it may, it would be expensive to replace them with anything that is zero carbon, and they remain responsible for a heck of a lot of emissions. Our best hope of doing it most cheaply is to be open to all possibilities. I note Torrens Island consists of 8 modules. It is Australia’s biggest gas user. Being steam only and no gas turbines I’d guess it would take an hour or two to bring a module online. SA is unusual in having plants with all 3 gas cycles. If SA were to get coal seam gas from Queensland via Moomba some of that could be sent on to Victoria from Torrens. The Koch brothers (or Bachmann or Perry) are probably the people that bother me the most rather than this sort of rent seeker. Monbiot loves to get stuck into the Kochs. I had never heard of them until he brought them up. The 20% drop in emissions from 21% windpower sounds a bit suspicious to me given that in the UK it is thought that a Mwh of wind displaces just 0.4t of CO2. Applying that to SA you’d think windpower would reduce emissions by around 8% though an accurate calculation is tricky. The SASDO report doesn’t appear to contain a dataset that would enable a regression analysis of tonnes of CO2 against Mwh of wind, gas, coal and imports. 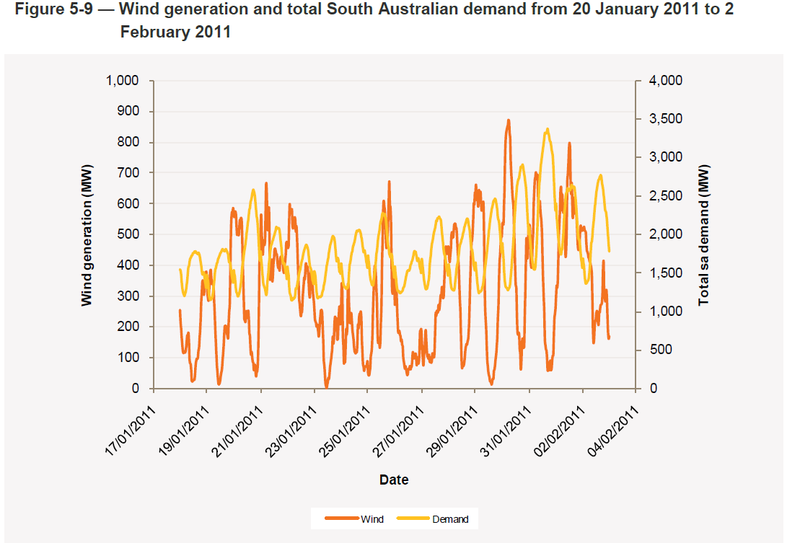 Philosophical question; what’s with SA and wind power?. I live at Lat 43S so should get even more of the Roaring Forties. SA seems to want to muscle in on the action leaving other States flat footed. Could be a mixture of greenwashing and the $39 REC. Re Eyre Peninsula; I think we should assume one day the WA and Eastern grids will be connected therefore beefed up transmission out that way could be regarded as a first instalment of a trans-Nullarbor link. This ties in with my idea of an energy park at Ceduna. Maybe Ardrossan area on YP would suit a nuke as well. Re underwater HVDC costs; Basslink of around 300km was sold a few years back for $1.2 bn. A rough apportionment could be $3m per km of cable plus $150m apiece for the inverter-rectifier stations. Connecting WA and SA has been regularly reviewed (as recently as 2009 I think). As WA has only marginally cheaper (relatively speaking) electricity than the rest of Australia, I don’t believe local utilities see any opportunity for export and there’s currently no need for import with the projects planned. WA’s State Government ‘Energy 2030’ directions plan will be out shortly. It had a working group to examine solar based exports East as there is another ~2 hours of sunshine our way. It of course might put such a connection back on the table. SA is part of a much larger grid, so its not really testing whether wind is saving CO2 emissions in SA but may be pushing up emissions in other states. It is certainly true that at some times wind is displacing OCGT. If there is not much off=peak export of power out of SA we would have to conclude that the Habner equation does not apply to wind in SA. It will be interesting to see if this holds with 35% wind energy. but it says that Cooper Basin reserves are confidential information. Back in 2009 the reserves to production figure for Cooper Basin was 12 years. I’ve heard anecdotal claims that most of the gas burned in Adelaide’s Torrens Island 1.3 GW baseload station actually comes from Victoria via the pipe to Pt Campbell. That gas won’t last much longer either. Possible gas solutions are to connect to central Queensland coal seam gas (though they seem to want all of it themselves) and fracking in the Cooper Basin area. How will SA windpower be balanced when gas is gone or expensive? Representative scenario a 45C summer late afternoon when PV is declining fast, the wind farms are near motionless but all the aircons are full blast. Compare that to WA, where our State Government is delighting in helping to find ways to DOUBLE gas exports by 2050, as if that is good news. We’re talking tens of billions to get it out faster and faster and ship it away in ever greater volumes. Any plan (ours) that proposes to find ways to use as little gas as possible is attacked here. Just a small thought, a new HVDC cable to Adelaide from the Yorke Peninsula makes a nuclear power plant there easier to build. True, and interconnection to Vic has the same potential benefit for nuclear as anything else- sell clean power in the local down periods. My distinction is that of necessity one one hand and benefit on the other. When you move up to higher penetration rates for wind, there will be lots of time where you produce more than demand. Just switching off the generators doesn’t make sense, so people will make gas from wind (done easily by electrolysis), and feed that in the existing gas infrastructure and in cars. While it is true that wind energy needs some kind of backup and gas plants are good for that because of their flexibility, that does not necessary mean the gas has to come from fossil fuel. I was somewhat skeptical reading in the original article I quoted on my blog that a generation capacity of 21% leads to generating 21% of electricity. The explanation that wind has displaced brown coal from Victoria doesn’t make sense to me. So I note with interest that you seem to confirm the number of 21% production. I still don’t understand how that is supposed to be possible, though. The late Matt Simmons via his Ocean Energy Institute and the Advanced Structures/Composites Research lab at UMaine had the idea that excess wind could be used to create Ammonia as energy transport. 1. Is a liquid at ambient temperatures. 2. Is about 52% as energy dense as gasoline and 50% more energy than Hydrogen. 3. Can be used directly in diesel ICE and with minimum conversion in gasoline ICE. 4. Would utilise the existing transport and distribution infrastructure used for gasoline. 5. No GHG emissions and NOx emissions would be handled as they are now. 6. Can be synthesized from seawater and air. I guess these ideas are similar to “The Methanol Economy”. I think it’s a great way to use hydrogen effectively, if PEMs take a while to work through (at they seem to be doing). Barry, I forgot to thank you for those. I was somewhat skeptical reading in the original article I quoted on my blog that a generation capacity of 21% leads to generating 21% of electricity. The reason for this is that SA has a very high peak(more than 3 times off-peak) so that coal and NG also operate at low capacity. Off-peak demand is about 1,000MW so even maximum wind output could be used if all other generators were switched off, but while coal fired continues to be significant this is not an option. The “confirmation” is AEMO’s not mine, I simply reported it. My smart readers seem to be giving the matter a good bit of interrogation though. people will make gas from wind (done easily by electrolysis), and feed that in the existing gas infrastructure and in cars. You make hydrogen from electrolysis, not “gas” (methane, that is). Hydrogen is not compatible with natural gas storage or distribution systems, or many combustion systems. I can’t see wind generated hydrogen making it into cars because of this. 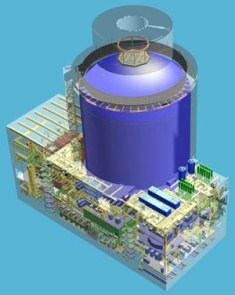 You could introduce hydrogen into the fuel for gas turbines at some percentage of the fuel, but I suspect that the storage and distribution of H2 enriched gas precludes this at a practical level. I also highly doubt that the economics of hydrogen electrolysis and distribution make it a viable means for storing excess wind energy. I believe there is a single e-gas bowser in Stuttgart. Other firms say this will use excess windpower that would otherwise be curtailed. No word on price or EROEI. Back to SA; if they are aiming for 1.7 GW nameplate wind it’s going to be tough without gas backup or guaranteed interstate export demand. Wind -> Mechanical -> Electrical -> Chemical -> Chemical -> Mechanical is a pretty long round trip from wind to wheel, with conversion efficiencies raised to the fifth power. EROEI does not look promising. I think you could agree that it was clear from the context that I was talking about hydrogen. The German government says that there is no problem with feeding hydrogen in the gas infrastructure. (link available on request). Present regulations allow up to 5% hydrogen in the gas nets, but that will be changed to 10% (no problem either from a technical point of view). Then, when using any gas from the infrastructure to run a gas power station, the electricity is treated in regard to the feed-in tariff system as if it had been generated directly from wind or whatever other renewable source was used for the electrolysis. Enertrag is doing a pilot project on this, since it does not make economic sense for them to just shut their generators down when there is too much wind. They have TOTAL as a partner for marketing the hydrogen to cars. Any hydrogen they get from the process will always be better than the zero they get from shutting down. Oops, should have been @John Morgan. Storing excess wind energy with pumped hydro is 80-85% efficient much better than producing hydrogen then turning back to electricity. Storing in EV’s even better. I rather think that depends on the nature of the criticism. Thanks for the links, gonna read that. The statement of no relationship with OCGT peaking seems weird. The only two energy generation technologies being built are wind and OCGT. But I’ll have a closer read. Ok, peaking plant investments more due to growing peaks, Makes sense. It’s a short report, but useful. Kind of a more detailed version of “THE GOOD”. I’m leaving it open to my more technically-versed readers to pick it apart. With an eye to the future though, and a goal of rapid zero carbon, a critical approach to the role of wind is very much needed. This report is useful in a retrospective sense, and I think builds a useful argument for other regions to do more with the resource from their low base. What we do next is a different matter. I’ve looked at Windlab’s rationale for CO2 cuts in SA and I think it needs more checking out. 20% wind penetration for 20% emissions cuts seems too good to be true, given the 5% summer capacity credit. We know 100% penetration for 100% emissions cuts is not practical. The Inhaber rule suggests there is no emissions advantage in going beyond 20%, noting SA proposes to go from 21% to 33%. Why is it then that other States are not as enthusiastic about wind? For starters I would like to know how emissions were calculated. Does it use estimates? Secondly I think correlation based studies should track the daily or hourly fluctuations so something akin to rules of thumb can be devised e.g. when wind increases x% combined cycle gas decreases y% Victorian imports decrease z% and so on. It could turn out that more of the emissions reduction is due to replacing Vic brown coal electricity with costlier SA combined cycle gas fired, not SA wind. If so those days are numbered. However on a brighter note it does appear that wind generators are to some extend handing back the REC subsidy through price cuts. 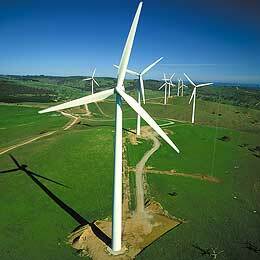 Given future uncertainties over the RET and gas supplies I think SA would be unwise to keep building wind farms. I propose “Inhaber Syndrome” as the failure in analysis of complex systems. Looking at emissions from imports, I too am sceptical about the claim that it is increased wind penetration alone that is making the difference. If it was solely down to wind, why are there no emissions from imports for 2007/08 when there was less wind than present, but then the emissions reappear again in 2008/09 and increase slightly in 2009/10, when wind penetration was higher? If SA eventually wants 1.7 GW nameplate wind to generate 33% of all Gwh while minimising coal and interstate imports it could do it with 3.4 GW mixed cycles gas (a substantial increase) with both wind and gas averaging 30% capacity. That should also get CO2 to under 8 Mt annually. Slight problem; future gas supplies. This is expensive on three fronts; the new wind capex, the new gas capex and the gas fuel cost. When gas is gone circa 2025 or prohibitively expensive (eg LNG brought in by ship) something will have to give such as electricity rationing, resumption of interstate imports or for the dreamers we could burn hay and sawdust. It also means that it will be hard to balance the existing 1.1 GW of SA wind. If Yorke Peninsula can put up with an enormous 600 MW wind farm they might be happier with a compact sized nuke.